Although Roger Oakley has lived for most of his life in West Sussex he was born in Winchester, Hampshire and lived his early childhood in rural Hampshire in the small village of Exton. Roger started his working life as a Cartographer in Hampshire and the Isle of Wight but eventually joined the Police Service spending most of his career in Sussex. After retiring from the Police he decided to return to college where he studied accounting for two years. After concluding college Roger took employment with network Rail in 2003. Roger was first elected to office as a County Councillor in May 2013. At that time he was in his second term as a Worthing Borough Councillor. Roger is a family man. He brought up his family in Worthing where his three children were all educated. They have all now left home and embarked on successful careers. Later in life Roger was a carer for three members of his family over a space of ten years. Thus Roger has a broad and varied life spending most of his time in West Sussex and has a high regard for family life. 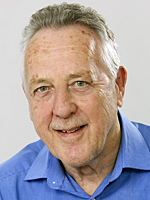 Roger was the Vice-Chairman of the County Council from 2017 to 2019.